Dubai - May 14, 2017: Caparol Paints, a global provider of German paint and coating solutions, has announced celebration of 20 years of excellence for CapaStone, a premium natural stone-like finish texture paint for interior and exterior surfaces. CapaStone has carved out its legacy and emerged as a market leader for over the past two decades in the Middle East. CapaStone is a superior quality pure acrylic water-based paint system with coloured inorganic crushed natural stone aggregates for interior and exterior surfaces which are manufactured with cutting-edge German technology. The paint system is inspired by the natural scenic beauty and landscapes of the Middle East. The product is available in an exquisite range of breath-taking natural stone-like ﬁnishes to suit various architectural requirements. 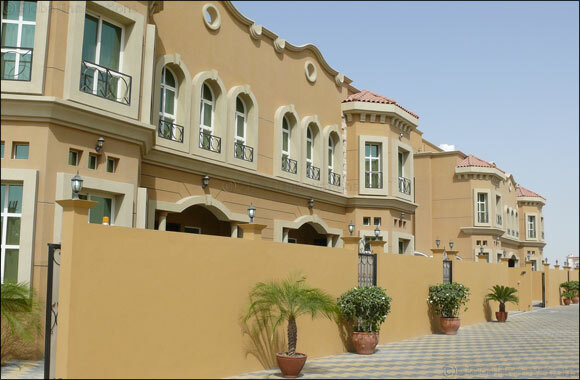 “Over the past 20 years, CapaStone has been used for exterior painting of a number of prestigious projects across the Middle East. The product offers superior quality and durability with the most natural ﬁnish. Caparol stands at the forefront of technological advancements in decorative coatings one of which being the patented NQG (Nano-quartz matrix technology) which is a vital aspect of the CapaStone range. The inclusion of this technology in the protective coat, CapaStone NanoClear creates a hard surface that prevents the adhesion of all types of particles, leaving a clean ﬁnish that endures over a long period of time. The multitude of beneﬁts also includes protection against the climate and a durable ﬁnish that is both reliable and high impact,” he added. “Caparol Paint offers a comprehensive product range, attention to detail, years of tradition and sustainability that determines its core values. The development of every single product at Caparol adopts years of tradition and values. The products are developed by Caparol’s technical experts based on extensive research into everything the consumers want,” Mr. Balish further said. “For our consumers, CapaStone ensures that they leave no room for compromise while designing the home of their dreams. The product offers them a solution to achieve a natural stone-like ﬁnish, which matches the durability and aesthetic appeal of real stone. The application of CapaStone is so easy and the stone-ﬁnish looks amazing,” he further added. Caparol Paints leads in innovation with a highly sophisticated research and development department that constantly initiates technological advancements and manufacturing techniques complementing the local market conditions. Caparol Paints has registered a strong growth in the Middle East through its wide range of products. Caparol brings German paint technology to the region while focusing on bringing the most appealing colours and paint textures. The brand has also made headway in sustainability by paying attention to quality and the aspects for balancing economic, environmental aspects with focus on the quality of life.